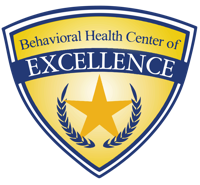 Colorado Behavior and Learning Group is a group of Board Certified Behavior Analysts and Board Certified Assistant Behavior Analyst providing Applied Behavior Analysis services in Douglas County, El Paso County, and Teller County in the state of Colorado. We provide each other support and collaboration on each of our clients in order to provide the best services possible. We believe that the best outcomes are achieved by frequent and direct one on one ABA therapy with a BCBA/BCaBA, even when utilizing direct line staff.